The TV was introduced in India in the 1980s. But for a decade, the TV was controlled by the Government and India had only the official channels of Doordarshan to depend for news and information, debates and entertainment. During the last decade, private entrants like Star, Zee, NDTV, IBN and other big media players, even local channels of regional languages were given entrance. This revolutionised the media panorama in India, creating competition and freeing the media from total Government regualation. This allowed the Indian viewer to get competitive news faster, quicker and free from pressure. Although, it is felt that media is misutilising the liberty accorded to it, yet it has enriched the viewing experience of Indian TV Viewers. Here is a list of the most prominent Media Figures of India. 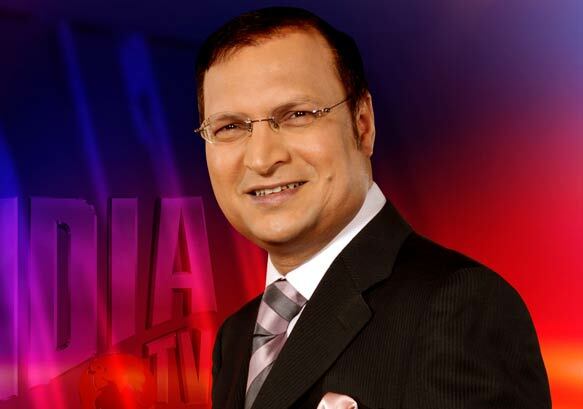 Rajat Sharma is a well known face in the Indian News Industry. He is the founder of the Indian Hindi news channel India TV. He is best known for hosting the show Aap Ki Adaalat and Breaking News. Being in this Industry for a number of years, Rajat Sharma was one of the youngest Editors in the print media at the national level. Rajat Sharma’s journalistic stamina ahs made him immensely successful and his show Aap Ki Adaalat is undoubtedly one of the most respected interview shows ever on Indian television. Rajat Sharma is married to Ritu Dhawan. Barkha Dutt is an eminent Media personality of India. She is a popular Indian TV journalist and columnist. Barkha dutt gained popularity for her reportage of Kargil War. She has bagged many national and international awards. She is honoured with The Padma Shri Award, which is India’s fourth highest civilian honour. She writes a column for The Hindustan Times. Barkha was born in New Delhi on 18 December 1971 and received her education from New Delhi. 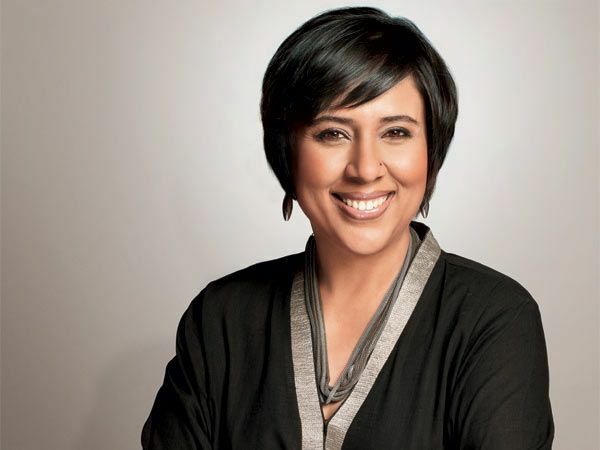 In 2008, Barkha Dutt received the Indian News Broadcasting Award for the Most Intelligent News Show Host. 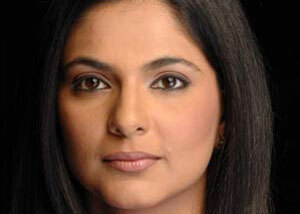 Her talent and capability makes her one of the most intellgent and prominent Media person in India. Vinod Dua is one of the most widely popular names in India Media today. He has been associated with this Industry since 1974. He was awarded the Padma Shri for Journalism in 2008.. 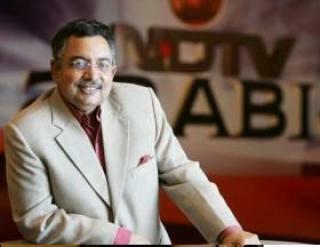 He has witnessed the transition of Indian television from Government owned to the multi channel broadcasting industry. Vinod Dua is a famous anchor, political commentator, election analyst, producer and director. He is most prominently known for his very famous show Zaika India Ka on NDTV, in which he travels places and imparts information about the delicacies of different cities, states and countries. Other notable programs which he has anchored are Chunav Chunauti and Kaun Banega Mukhyamantri. Prabhu Chawla is the former editor of language publications in India Today, India’s leading weekly newsmagazine. He is currently the editor-in-cheif of The New Indian Express newspaper in India, it is a Chennai-based english newspaper. 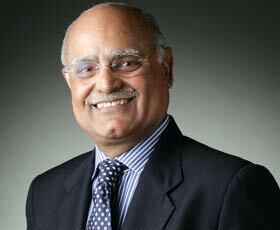 Prabhu Chawla was born in 1946 and is better known for his analytical approach and sharp political judgement. He hosts the very popular show “Seedhi Baat”, which is a talk show with celebrity guests. Prabhu Chawla was awarded Padma Bhushan by the Government in 2003. He is married and has two sons Ankur and Anubhav. Now Prabhu Chawla hosts a new talk show on ETV called Sachchi Baat. Richa Anirudh is an IBN 7 Television news anchor. She is one of the most prominent faces of Indian Media Industry. She is from New Delhi and She hosts famous show “Zindagi Live” on IBN7. In the year 2004, Richa Anirudh was selected among the 12 best anchors of next generation across Indian news channels by Pitch magazine. She was honored with “Best Anchor’s Award” in 2005 by Ekta Mission. She has earlier worked with Indian News Channel Headlines Today and Channel 7. 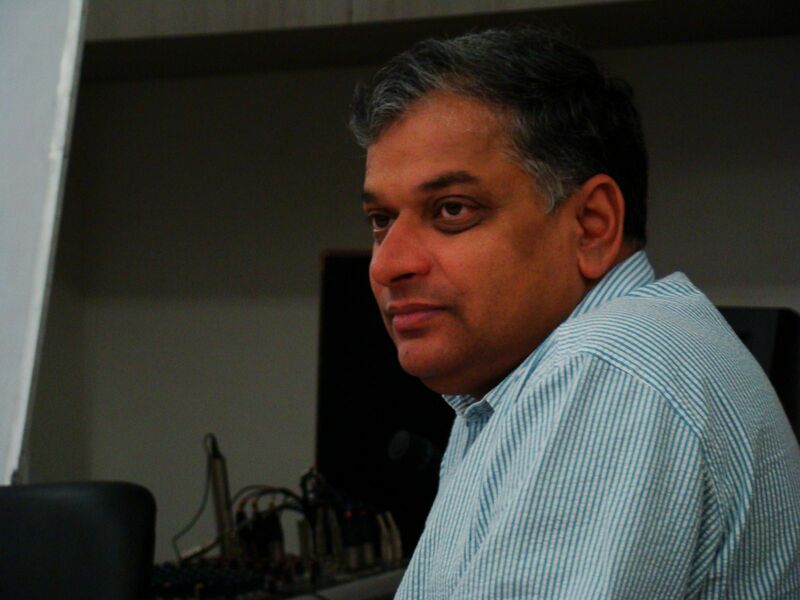 Pankaj Pachauri is from Lucknow and is a senior TV anchor, associated with NDTV. Currently he hosts many program in NDTV including well known HUM LOG and Money Mantra in NDTV India and NDTV Profit. He is a very eminent journalist and has won many prestigious awards. He was honoured with ‘The Statesman Award for Rural Reporting’ in 1989. He also recieved the Srikant Verma Award for journalism in 1990. He has formerly been associated with international media houses inlcuding BBC, Department of Journalism at Berkeley, University of California. He is currently the Managing Editor of NDTV. Vir Sanghvi is an eminent journalist from Mumbai. He is an Indian print and television journalist, columnist, and talk show host. Vir Sanghvi has a way too long association with the India Media Industry. He was the founder-editor of the Bombay magazine at the age of 23. He later edited Imprint and Sunday magazine. He is also the former editor of Hindustan Times. Currently, he is an Advisor, at HT Media. 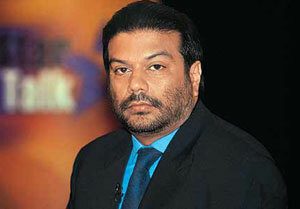 Vir Sanghvi has hosted a number of shows which include A Question of Answers, Cover Story and Star Talk, Face the Music and One on One. He has also authored a biography of the late Madhavrao Scindia, which was released by Sonia Gandhi in 2009, in Delhi. Prannoy Roy is the founder of NDTV India. 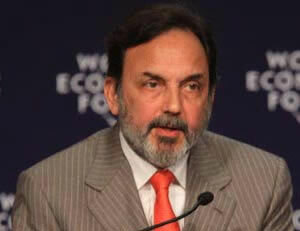 He is a popular media journalist and serves as the Executive Chairperson of NDTV. Prannoy is from Kolkata and is married to Radhika Roy, who is popular communist politician Brinda Karat’s sister. Also, popular social activitist and author Arundhati roy is Prannoy’s first cousin. NDTV is India’s leading news and current affairs network today. Prannoy hold a Ph.D in Economics from the Delhi School of Economics. He is a qualified Chartered Accountant. 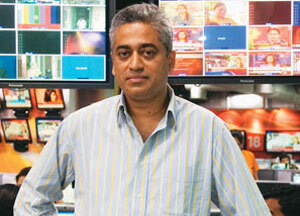 Rajdeep Sardesai is a popular Indian journalist associated with the Industry for over 15 years. He is an eminent political commentator and news presenter. He is the Editor-in-Chief of IBN18 Network, that includes CNN-IBN, IBN-7 and IBN-Lokmat. He is the former head of the Department of Sociology at St. Xavier’s College, Mumbai. He is married to Sagarika Ghose, a journalist and fellow senior editor and anchor at CNN-IBN, since 1994. They have two children, son Ishan and daughter Tarini. Rajdeep entered the Television Media Industry in 1994. Arnan Goswami is the News anchor of the Indian news channel Times Now. He is an eminent Indian journalist and is the Editor-in-chief of Times Now. He has a prominent contribution to the rise of Times Now Channel. It was launched in January 2006. Popular shows which he hosts are The Newshour, Frankly Speaking with Arnab. 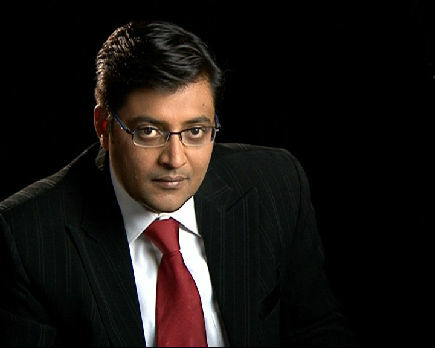 Arnab has recieved a number of awards and has written a book named Combating Terrorism: The Legal Challenge. He is widely considered to be one of the top four English News TV journalists in India- other three being- Karan Thapar, Barkha Dutt and Rajdeep Sardesai. Other popular media personalities of India are Naghma Saher, Sagarika Ghose, Shweta Singh, Nilesh Khare, Pritish Nandy, Kushwant Singh, Sukesh Ranjan, Ritul Joshi, Rajiv Pathak, Sanjoy Majumder, Prabhanjan Verma, Shobhaa De, Mrinal Pandey, Sucheta Dalal, Vikram Chandra, Karan Thapar.